Qikwell, Acquired By Practo, Now The Largest Healthcare Appointment Booking Platform! Home / largest healthcare appointment booking platform / news / practo / qikwell / services / Qikwell, Acquired By Practo, Now The Largest Healthcare Appointment Booking Platform! Practo Asia is the leading healthcare platform today and they just announced that the acquisition of Qikwell which is the leader in appointment scheduling at hospitals. That acquisition made Practo the world's largest appointment booking platform with nearly 40 million appointments managed every year. That will also result to better services and make Practo even more fantastic. It can deliver great consumer experience at hospitals and clinics by providing smooth appointment bookings that will significantly reduce waiting time. Aside from that you can now also make contactless payment at the hospitals. It has a key proprietary technologies and algorithms that helps synchronize patients, doctors and front office staff at the hospital that will reduce the average waiting time by over 3 times! In the end it will only result to a much optimized hospital operations and better customer experience. “This is our fourth acquisition in the last five months. We continue our mission to help simplify and digitize healthcare globally and make Practo everyone’s health app. I am very pleased to welcome Krishna, Ragavendra and the Qikwell team to Practo. 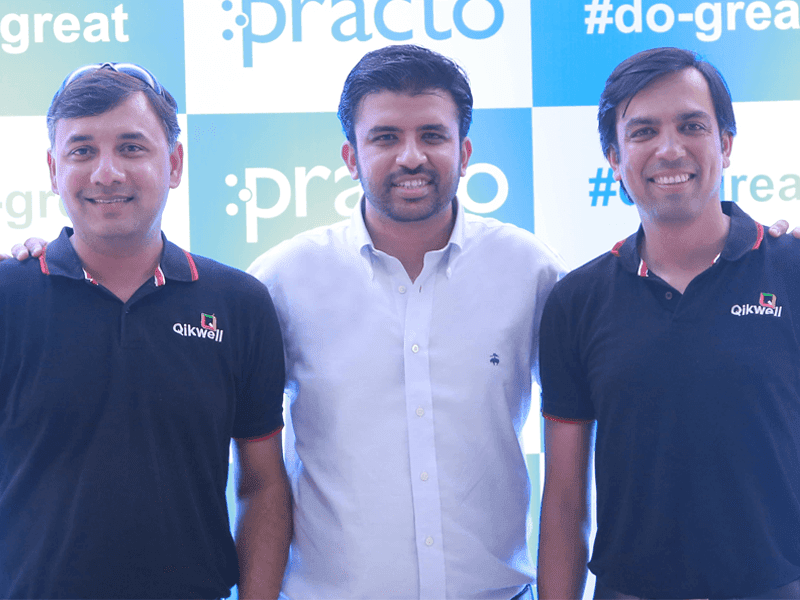 Practo has been the pioneer in digital health and with this acquisition Practo now becomes the world’s leading appointment management platform. Over the coming months, we will continue our aggressive expansion and build the world’s leading healthcare technology platform,” - Shashank ND, Founder & CEO, Practo. “Qikwell is thrilled to join Practo in our quest to enable digital healthcare worldwide. We share the same passion, vision and commitment to customers in offering great products. We chose Practo over some other options because together we can offer superior, comprehensive and integrated solutions for all participants in the healthcare ecosystem across patients, doctors and healthcare providers. I look forward to working with Shashank and the Practo team in realising our shared vision of transforming healthcare globally,” - Krishna Prasad, Co-Founder & CEO, Qikwell.